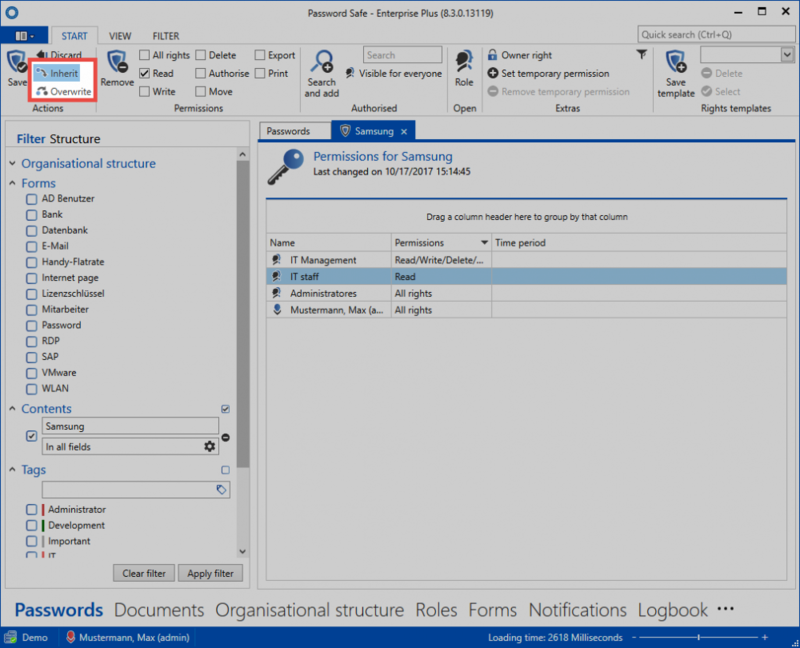 What are form field permissions? The authorization concept allows separate permissions to be set for each object. These objects could be records, forms or users. Password Safe goes one step further in this context. 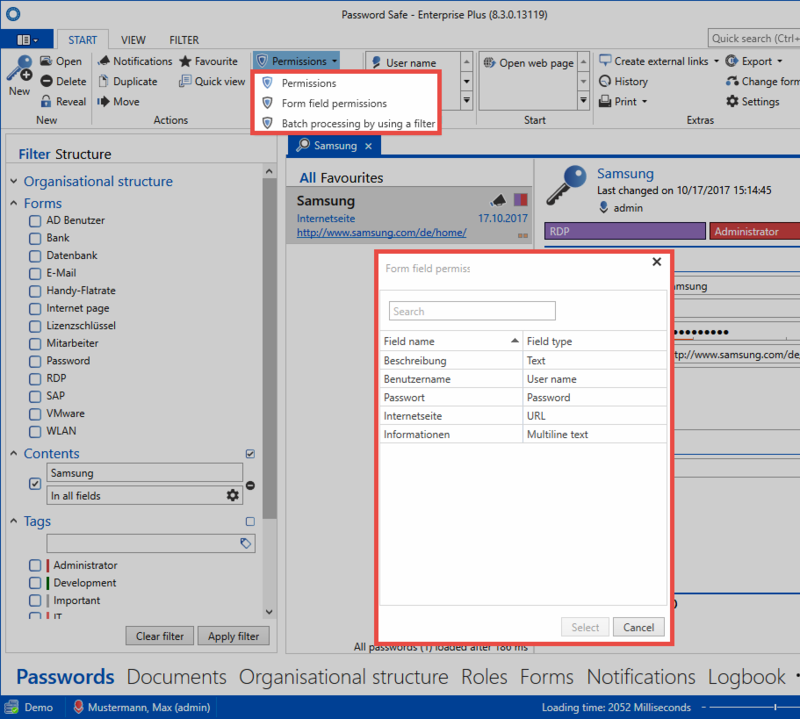 Every single form field for a record can also be granted with separate permissions. 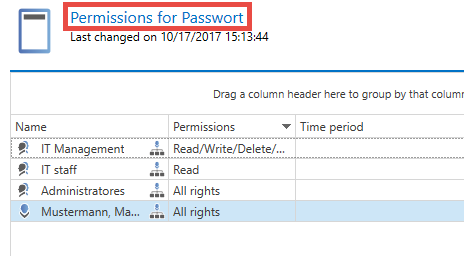 It is thus possible to grant different permissions for the password field of a record than are set for the other fields. The following options are required to view “inherit” and “overwrite” icons. The associated form field permissions for the marked record can be opened via the ribbon using the drop-down menu under “Permissions”. The window that opens allows you to select the relevant form field for which you want to grant permissions. The following example focuses on the password field. The permissions configured here now exclusively apply to the password field. The other form fields remain unaffected. Changes to the permissions for a record are automatically inherited by all form fields by default. If you open the permissions for a record via the ribbon, the configured rights are then valid for all form fields. This mechanism can be switched on and off using the two buttons “Inherit” and “Overwrite” in the ribbon. In this way, you have the option of deciding whether changes to the permissions for a record are automatically inherited or not by all available underlying form fields. It is only necessary to remove the tick from the “Inherit” field.